Hi friends! Over the last year or so I found myself getting more and more into beautiful, statement jewelry. Although it may be fun to wear these pieces, it's equally important to have a concrete, everyday jewely collection currated with easy going and simple jewelry pieces that you can wear daily. Now, I'm talking about the ever so dainty necklaces and simple studs. 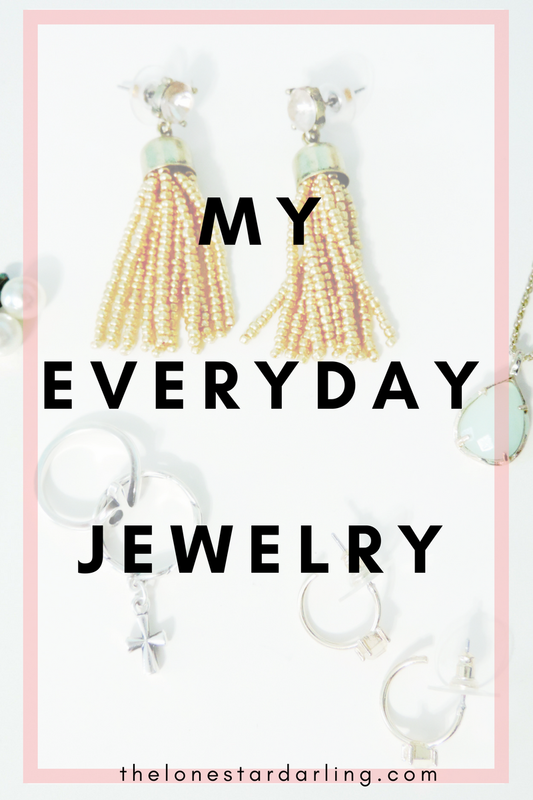 Here's my everyday jewelry collection. I hope you enjoy! P.S. I MADE A YOUTUBE CHANNEL!! !SAY WHATTTT?!?! Yeah, I now have a YouTube channel! Here's a link to my channel (please subsrcibe!it would mean the world!) and here's a little video I made to go along this post!